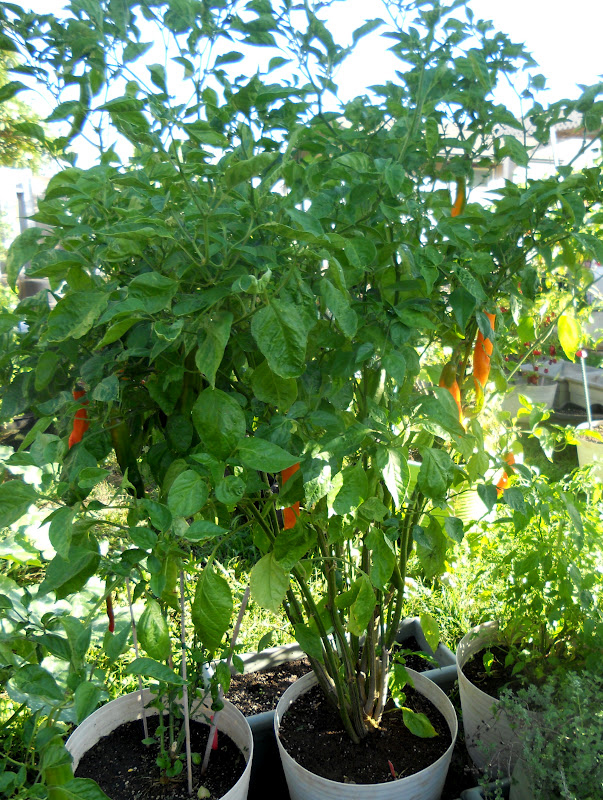 Aji Amarillo (Capsicum baccatum), also known as Aji, Aji Pepper, Aji Amarillo, Locoto, Amarillio Chilli, Wild Baccatum, Peruvian Hot Pepper, Aji Andean, Aji Amarillo Mirasol, Aji Camba, Aji Caballero, Aji Chanca, Aji Chivato, Aji Cochabamba, Aji Cito, Aji Colarado, Aji Cohincho, Aji Aji Indian, Aji Little Finger, Aji Limon etc. belongs to the night shade family Solanaceae. 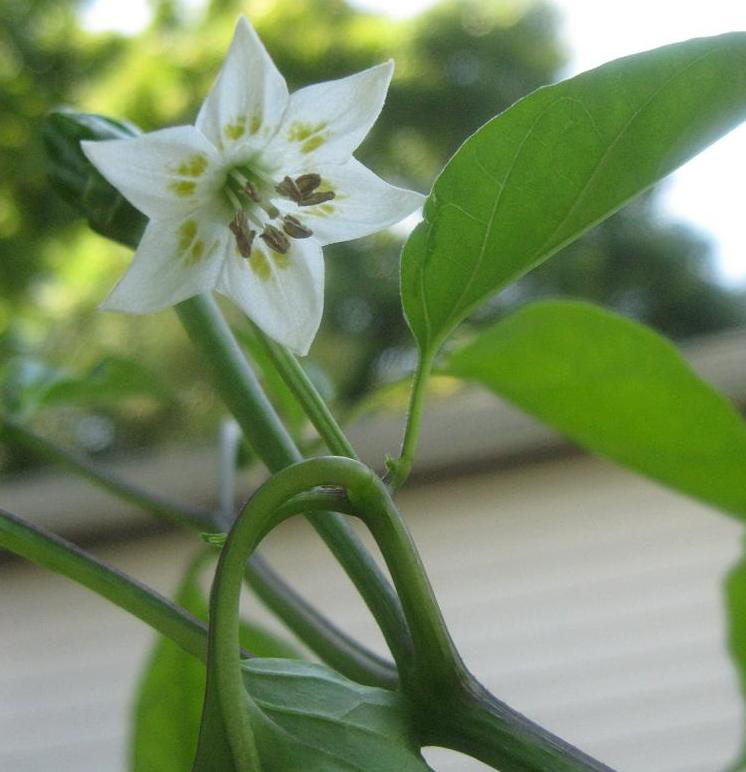 It is used as hot peppers which enhance the flavor of various dishes. As they are also known as yellow chile peppers, it possesses deep orange pendant fruit. Aji Amarillo is mostly used in Andean cuisine. It is usually rated at 30,000-50,000 Scoville units. The fruit yields a pungent flavor and fruity taste. 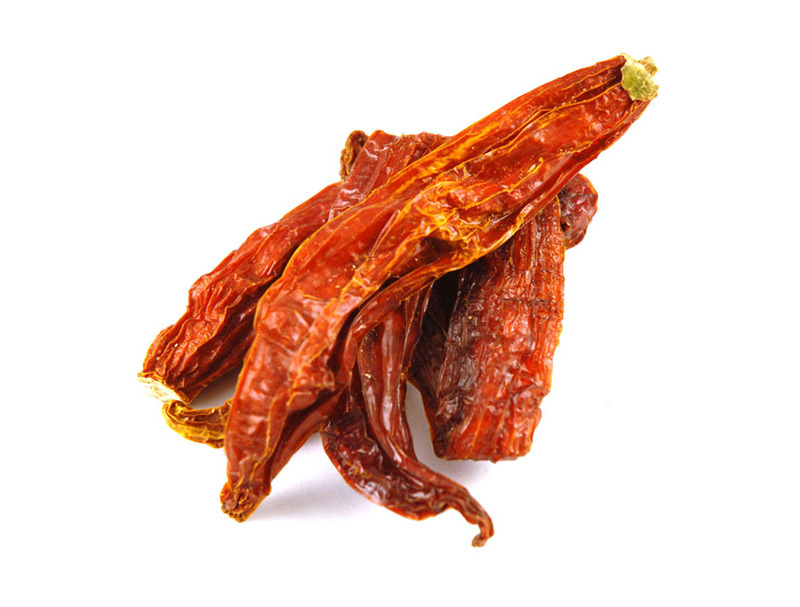 The dried form of Aji Amarillo is called Cusqueno. 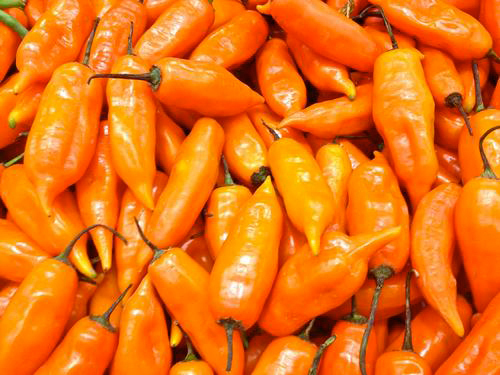 Aji Amarillo prefers well-drained soil in a tropic, mediterranean, subtropical, desert or temperate climate. The annual plant has erect stems, alternate leaves and can reach 60-100 cm in height. The fruit is 3 to 5 cm long and 1.5 to 3 cm wide. The deep orange fruits are pendant, rarely erect, elongate and oblong- unusual bell shaped. The seeds are numerous of straw color. The flower is a hermaphrodite in white or cream color with typical green or gold corolla. Aji Amarillo is native to South America. It was domesticated by the Native Americans. It is also believed that Aji Amarillo was originated in ancient Peru and was domesticated about 2500 B.C. It was introduced to Hawaii, Central America, India, United States, Australia and everywhere. Besides the pungent flavor and fruity taste, Aji Amarillo provides various anticoagulant, thermogenic anti-bacterial, anti-carcinogenic, pain reducing, anti-diabetic properties and antioxidant properties. 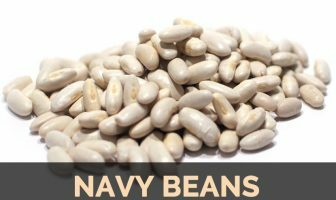 They are used in various cuisines or recipes as it enhance the taste of various types of dishes. It is used as the most crucial ingredient in the Peruvian varieties. The fluid enters the cells which cause them to burst in the absence of sodium. The adequate consumption of sodium is necessary to maintain the balance in fluid both outside and inside the cells. Aji Amarillo also possesses some amount of sodium which provides this health benefits. The athletes could suffer from hyponatremia if the lost sodium is not replaced. They also lose water and electrolytes. The person suffering from hyponatremia experiences vomiting, confusion, coma and seizures. Athletes should use the electrolyte replacement fluids during the performance or when the events last for long period of time. 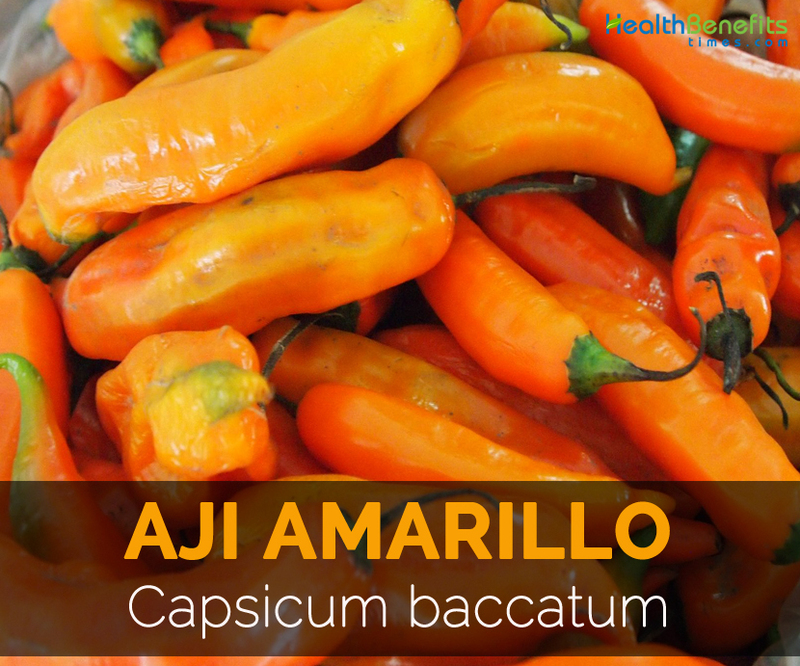 Aji Amarillo helps to lower the bad cholesterol levels in the body along with promoting the HDL cholesterol levels which are beneficial to the health. This helps to reduce the heart ailments such as heart attack, stroke and others. It also maintains the cholesterol balance in the body. Aji Amarillo does not have any amount of calories and fat which helps the people to reduce the weight. Those who want to lose weight could consume this without having the fear of gaining some weight. Aji Amarillo possesses antioxidant properties which help to counteract the free radicals which are present in the body that are the cause of various health ailments. It helps to detoxify the body by eliminating the free radicals. Capsicum microcarpum f. fruticosum Sendtn. 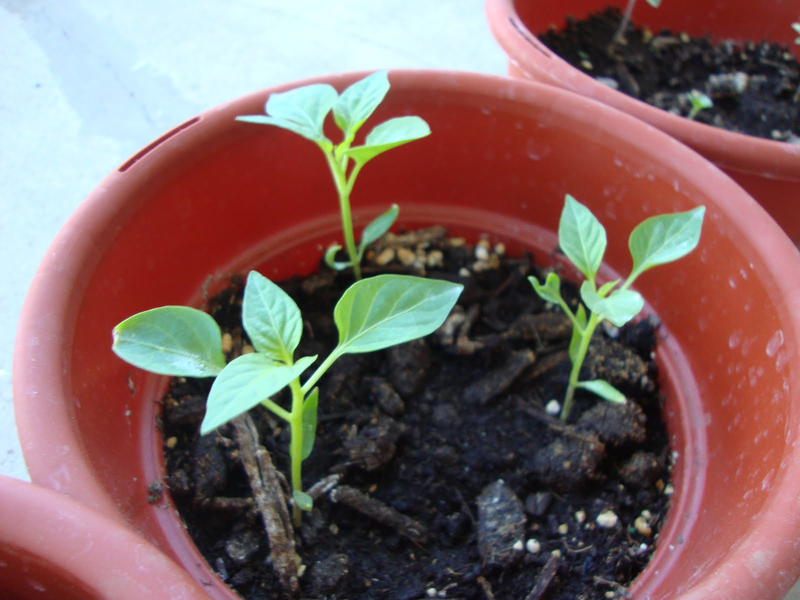 Capsicum microcarpum var. glabrescens Hassl. Capsicum microcarpum var. tomentosum Chodat & Hassl.